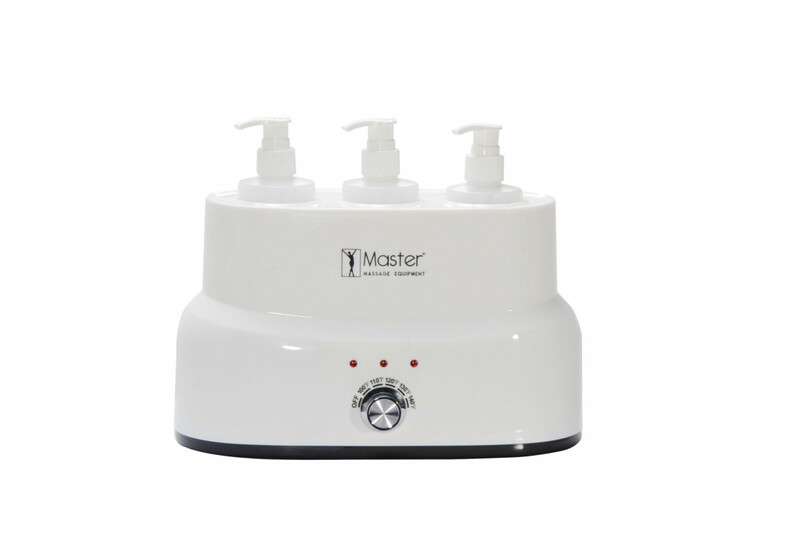 The3-bottle oil warmer by Master Massage is created to help individuals become comfortable and at peace by warming bup any oil, cream, gel or lotion! The machine heats up substances quickly and safely as well as not eliminate any substance nutrients. The warmer will warm 3 8oz bottles to a high temperature of 60° C/140° F. Also, the warmer has an auto-shut off function designed to regulate the temperature. Furthermore, the machine utilizes five temperature levels, for example the machine will stop heating once the desired temperature has been reached. On the other hand, the machine will start heating again, once the temperature has dropped below normal levels. This way the oil will never underheat or overheat. 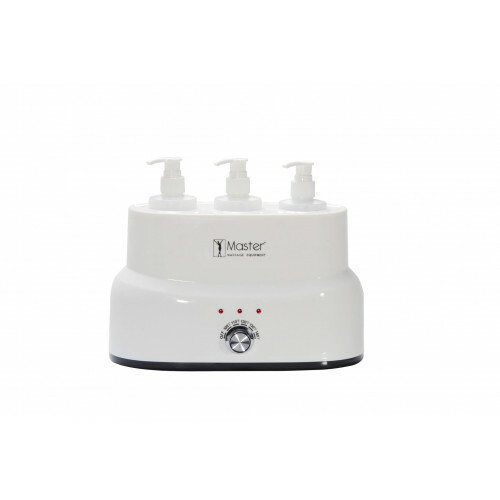 Moreover, the warmer is built to last and easy to clean. The machine has a 1 year guarantee in the case of a product defect. Any spa industry or professional should buy the 3-bottle oil warmer today!